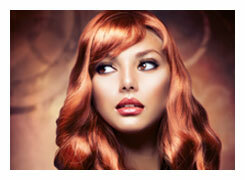 Enjoy fabulous tips from Atelier Hair Salon in San Diego for your own individual hair type. Click on a category below for specific advice in styling and caring for your hair and keeping it strong and healthy. Healthy hair is beautiful hair! If you have curly hair, you know that it is different from all other hair types. Whether you have a short curly style or long tousled locks, our tips will help prevent tangling and dryness. While some of our San Diego salon clients have naturally dry hair, others have hair that has become dry due to over styling, over processing, and exposure to the elements. Whatever the cause of your hair's damage or lack of moisture, we have the answers to restore its shine and health. Oily hair types face challenges not experienced by other hair types. You can shampoo your hair in the morning, and then by afternoon, feel as though you may need to shampoo it again. What is the solution for particularly oily hair? Do you battle frizzy hair on a daily basis? The stylists at our hair salon understand your frustration and have several tips that can tame a frizzy mane and keep it smooth. 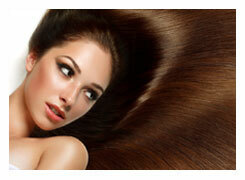 Many of our clients suffer from very fine or thinning hair. But thin hair doesn't have to hamper your style. A great cut specifically designed for thin hair can give you the style that you want and maximize the hair that you do have. If your hair has been colored, it requires an extra level of care and attention to keep the color looking vibrant and beautiful until you return to the salon for your next appointment.